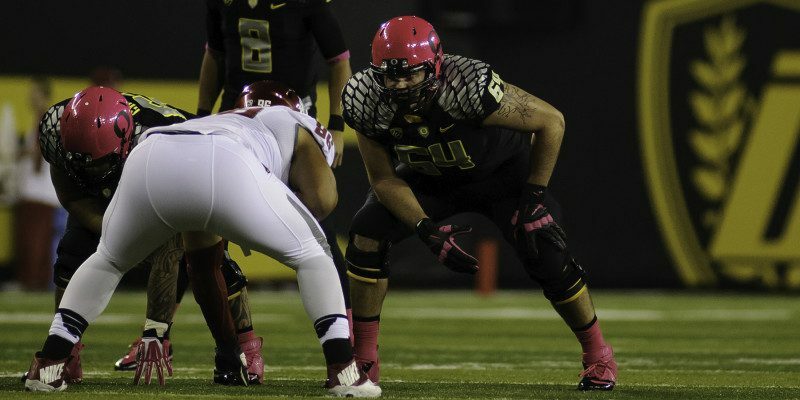 It is no secret that the Ducks had offensive line problems last season. 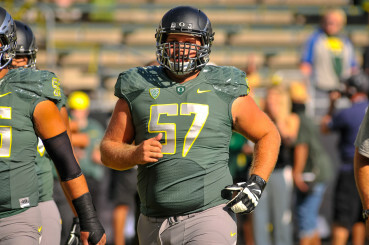 Many believe that the Ducks remained among the elite following their loss to Arizona only because the committee took into account missing pieces, most notably Jake Fisher. With Fisher now graduated along with staple center Hroniss Grasu, the offensive line, like so many other pieces of this team, is rebuilding. However, thanks to redshirt senior Tyler Johnstone that process is starting from more than scratch. Austin Chad Willhoft of FishDuck.com was at the Hatfield-Dowlin Complex yesterday to speak with Johnstone about his recovery and the upcoming season. In addition to getting strength back in his legs, Johnstone took advantage of his rehab time to put on weight and set up a tight nutrition schedule. “The injury helped me a lot,” he explained, “it helped me slow down a bit and knock out an eating schedule, it helped me grow up a little bit and take better care of myself.” Along with eating well, Johnstone has put on nearly 30 pounds of muscle and is aiming to start the season in the 300-pound bracket. Brenner stepped up last season and likely earned himself a place at the table in 2015. The offensive line may be rebuilding but many of the key components already have experience with this kind of pressure. Stetzon Bair and Matt Pierson join Johnstone as the only other redshirt seniors on the line. Doug Brenner had his chance to prove his worth last year when Grasu was injured against Utah and performed well in Grasu’s absence. New faces are strewn throughout the depth chart, but it is the familiar ones that are set to ensure the Ducks continuing dominance of the Pac-12.